In April 2015 I bought a pair of Reebok Dash Runner on Amazon. I chose these running shoes mainly for the combination of a cheap price and the so-called "vintage" style (how I hate this expression! Or maybe I am just growing old?). Anyway, I used my shoes over the whole summer. 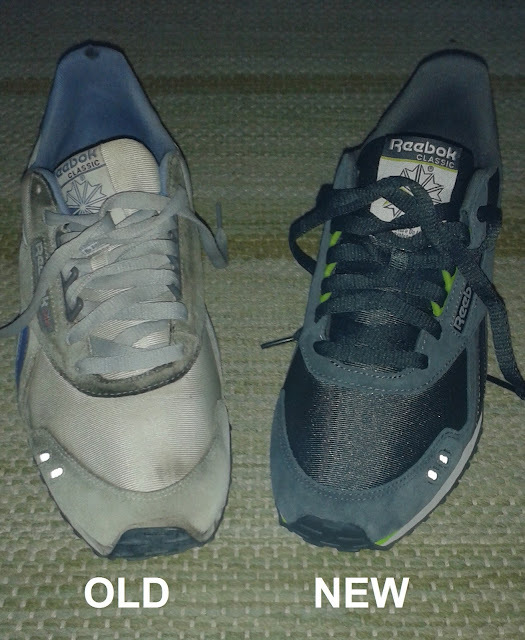 After 2 injuries, 6 months, around 700 km and several sessions on the woods, at the beach and on the road, it was about time to hang up these glorious shoes. Actually I did it reluctantly, because they were not so bad: elegant, nice colors, comfortable inside. Drawbacks: a bit too heavy if compared to the shoes I used to wear, and maybe too warm (but I ran with high temperatures, so I cannot give a fair judgement). The main reason why I decided to change them was the excessive consumption on the outside, as you can see in the pictures (I am a supinator). 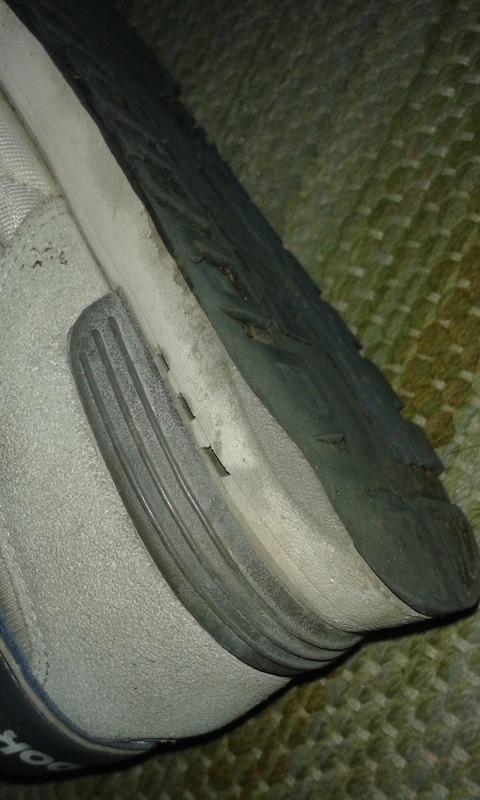 Moreover, they were pretty worn-out inside, and during my last sessions I started feeling more and more uncomfortable. Even if the Reebok Dash Runner are out of production, I happened to stumble on a German/Polish online shop selling them for a low price (29 Euro). I didn't miss the chance and I ordered them. After a few days, here they were, the same "old" Reebok, this time black and yellow. The size of the old ones was 43, the new ones is 42,5. 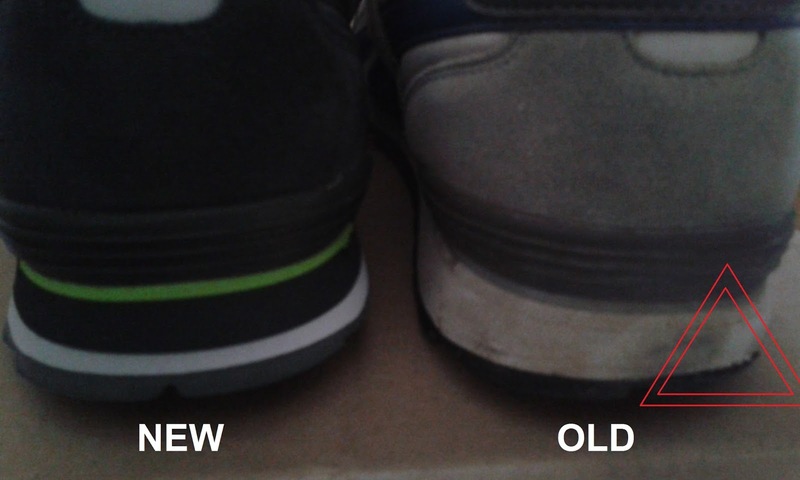 Actually I feel a small difference in the width of the shoes: I think that my left foot is slightly larger than my right foot, and wearing the new shoes I can feel it. Anyway, today I covered 10km...and I ran like the wind! 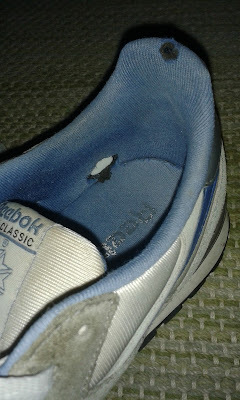 PS: I admit that I have a bad conscience, because the Reebok I bought are made in Vietnam, probably in a sweatshop. Hopefully they were not made by children. I know that we, as consumers, can have an impact on the market, and I will try to find a sustainable brand in the future.